It’s 1965. We’re about a mile up, maybe more. The pilot is I.T. since his name is Ivan Taylor. I.T.’s decided I’m the son that he’ll never have. level through a bright world above the world. as the shortcut past the Pure Oil refinery. that you expect nothing, and everything, of. somewhere I don’t want to be in the Cessna. and slows our forward momentum mid-air. the shortstop catching whatever is left over. every pick-up game is war. Life and death. You know these guys—sixteen-seeming at thirty. into the ball diamond of I.T.’s Ray-Bans. grass, one-kneeing what should have been easy. hard seats. A car radio plays a Buck Owens song. The song is about having a tiger by the tail. and between, Hell for Certain and Jenkins. with college is like a man without a country. He’s been called briarhopper once or twice. to blaze, greening in advancing dark. that it should be no sweat. Piece of cake. like it was my birthright or a lucky silver dollar. of luck in the service of—what?—you tell me. knotting the last of the light and Heath, Ohio. sitting down to peaceful meals in the nineteen sixties. I’m weary of hearing how awfully good it was then. a neighbor kid. Don’t ask me why I did that. Ask I.T. about winging that ribboned shirt box. and directly over the restaurant where Pat works. fill a flat quilt of fields before the airport. I await the usual touching-down cry of tires. a kind of signal (must be) because he brakes. to testify to the fact we’re down, and safe. kill switch. We sit in a silence almost Biblical. from the burning off of waste gases at the refinery. The light’s no big deal. What’s local never is. as if letting a boy in on more than he should. 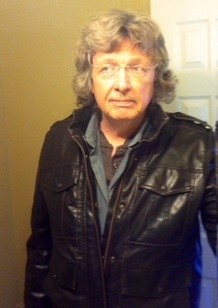 ​Roy Bentley is the author of Starlight Taxi (Lynx House: 2013), which won the 2012 Blue Lynx Poetry Prize. His other books include The Trouble with a Short Horse in Montana (White Pine: 2006), which was the winner of the White Pine Press Poetry Prize in 2005, Any One Man (Bottom Dog Books: 1992), and Boy in a Boat (University of Alabama: 1986), which won the 1985 University of Alabama Press Poetry Series. A recipient of a Creative Writing Fellowship from the NEA, six Ohio Arts Council fellowships, and a Florida Division of Cultural Affairs fellowship, his poems have appeared in the Southern Review, Prairie Schooner, Shenandoah, Rattle and elsewhere.